At Red Bucket Equine Rescue we are committed to saving starving, abused and slaughter-bound horses, rehabilitating them, restoring their trust in mankind, and finding them forever homes. Because our horses come to us shattered, desperate victims of unspeakable abuse, the rehabilitation and training of our horses and restoring their confidence in mankind…and in themselves…is critical in preparing them to be reliable mounts, family members and partners. At Red Bucket our horses receive the commitment and time that they need in order to heal and transition permanently to a forever home. We know that rescue is only the beginning, and you can participate in making a difference by sponsoring a horse or contributing to a monthly sponsorship! 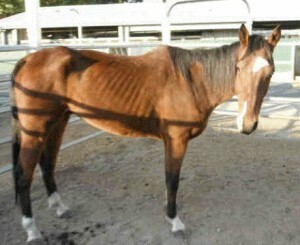 A full sponsorship of a horse is a monthly gift of $600 or an annual gift of $7,200. 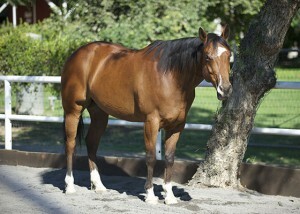 You will receive a framed photograph of your horse, his or her story and background, and quarterly updates. We invite you to choose a horse that you would like to sponsor, or we will happily choose a deserving horse for you. 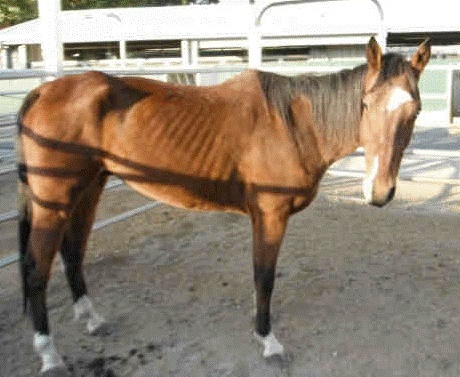 If you wish to sponsor a horse, please fill out the form below. If you would like to sponsor a specific horse, please list the horse's name here or we will be happy to choose a deserving horse for you.